Getting bored and even feeling panicked with the hectic schedules in the hustle bustle of city life. Just was on the lookout for a place to relax, refresh and rejuvenate. 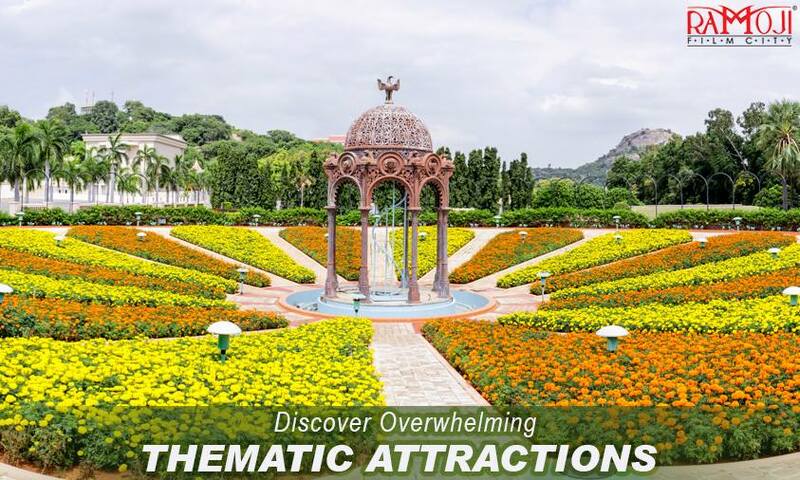 After being puzzled with couple of options, then got this fantastic idea of why not “Ramoji Film City”? 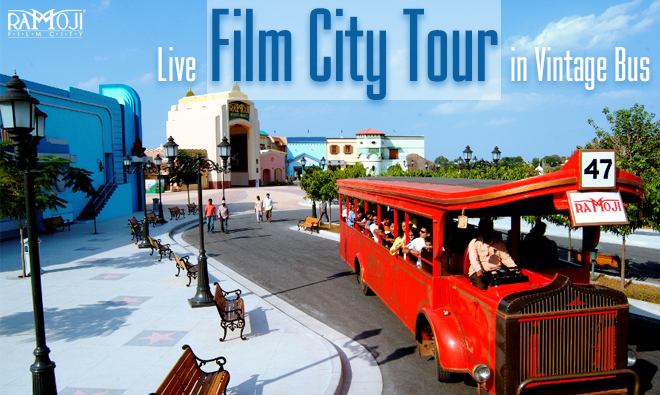 Yes… Plans are firmed up and done with the booking for a Day Out at the world’s largest film city. Complete gang of 12 members started in the morning with happy moods to RFC. Reached at 9.00 am, they call that place ‘Vijayawada Highway Gate’. A big signage standing high welcomes visitors to the wonderland. A lovely 15 min journey to the entertainment zone from high way gate, spellbound to see the path paved by the bumpy hilly area. Soothing to see trimmed, colourful bougainvillea alongside the path. Yes. After this 15 minutes serene ride, reached the entertainment zone. Now the real fun starts. Red coloured vintage buses waiting to take us through heavenly tour of the wonderland. Frankly speaking, a day is not enough to go around as there is a lot to see, a lot to experience. 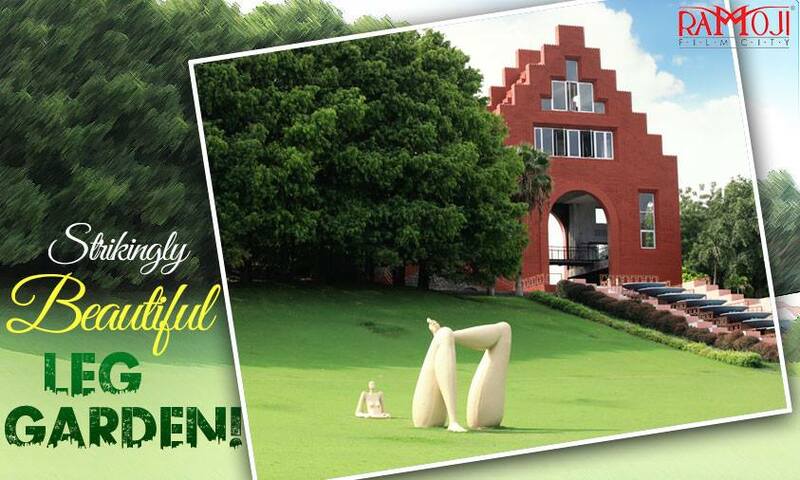 To put it in short – serene landscapes, thematic gardens, amazing fountains, butterfly park, birds park will tranquillize you. 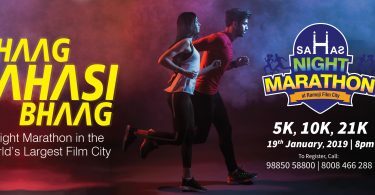 If you are a movie buff – every garden, every location, every avenue, every set of Film City will connect you with your favourite movies and stars. Not only that, it will be very interesting to see some techniques in movie making and how a move is made. You will be mesmerized with action packed stunt show and spectacular live shows. Above all, an opportunity to be in the gigantic Bahubali sets live is an unforgettable experience. Don’t worry! To quench your thirst and satiate your hunger, many themed restaurants serve spicy south Indian to tangy north Indian delicacies. Choice is yours’ how well you treat your taste buds. 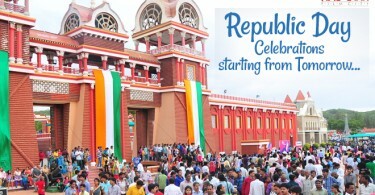 Finally, I feel you cannot claim yourself a Hyderabadi without visiting Ramoji Film City at least once in your lifetime. Keep visiting us…. every product, every set, every location of RFC weaves an interesting story. Don’t miss the fun reading.